Onlinestrength analyzed 10 best-selling citrulline supplements in the United States, measuring levels of key active ingredients (citrulline) as well as ingredient ratios and filler ingredients. Citrulline products fared well in terms of label and effective dosage accuracy. Citrulline supplements are often formulated with malate (malic acid) which further aids energy production and fatigue reduction). Malate also speeds up absorption and increases overall absorption. Free-form citrulline and citrulline malate are both very effective. We ranked these products based on their overall quality, ingredient formula, and total effectiveness. Products that contained higher citrulline dosages ranked higher than the products which contained lower dosages like Now Foods 750mg capsules. Nearly all products contained only contained 1 ingredient without any additives or fillers. Citrulline is an amino acid. Supplementation boosts arginine and nitric oxide levels in the body. Boosting arginine and nitric oxide levels has a ton of positive health benefits. L-Citrulline is used as a sports performance and cardiovascular health supplement. Citrulline improves blood circulation which allows for more oxygen and nutrients to flow throughout the body. Helps prevent fatigue by detoxifying ammonia out of the body caused by protein breakdown & prolonged exercise. Boosts healing and muscle recovery helping to reduce muscle soreness. Increases your overall energy levels. It does this by removing ammonia from the body. Citrulline Malate (malic acid) further aids energy production and fatigue reduction. Citrulline gives your body the tools it needs to improve blood flow and circulation. This allows your body to transport more oxygen and nutrients throughout the body giving you enhanced performance especially during exercise. An increase of blood flow helps to blunt early muscle and mental fatigue giving you more energy and time to workout harder for longer. In the long run this will lead to more lean muscle gains and an overall better looking body. Improving blood flow allows your body to transport and deliver oxygen and nutrients to muscle fibers faster and more efficiently. In the long term this will result in greater lean muscle gains, less muscle soreness, and faster recovery times. Citrulline will boost your energy levels by helping the body to pump out the ammonia build up in your body during exercise. This will help reduce time til muscle failure, allowing you to hit your desired repetitions before muscle fatigue hinders you from progressing. Onlinestrength projected efficacy based on two key factors. First, we identified the form of citrulline used. Then we measured ingredient dosage up against the clinical research studies to ensure proper product effectiveness. Citrulline supplementation is heavily dependent on ingredient dosage in order to be highly effective. Citrulline malate is typically the most popular choice for citrulline supplements, due in large part to being more effective at improving energy production and fatigue reduction. Compared to other popular formulations (such as the standard free-form l-citrulline), however the malate suffers a few drawbacks. The malic acid can occasion cause stomach discomfort especially when taken on an empty stomach. Citrulline Malate is suggested to be absorbed quicker when taken without food and is often why its the go-to form of citrulline. While its been established that citrulline malate is the preferred form when it comes to exercise performance during fasting states, absorption of the standard free-form l-citrulline remains a matter of scientific contention. Clinical studies show that all forms of citrulline are effective at producing results with only a marginal boost in citrulline malate for exercise performance. Furthermore, citrulline effectiveness depends on the quantity of citrulline being ingested. As a general rule, citrullines effectiveness is directly correlated to quantity; that is, larger amounts of citrulline is expected to produce more benefits. Studies have suggested that exercise benefits are best when the total amount of l-citrulline is equal to 6,000 milligrams (mg) – 8,000 milligrams (mg) as citrulline malate and ingested at one time, one hour prior to exercise. For circulatory health or to alleviate erectile dysfunction, the total amount of citrulline being ingested at one time is 1,000 (mg) as l-citrulline taken at three different times a day for a total of 3,000 (mg). L-citrulline does not need to be taken with meals. 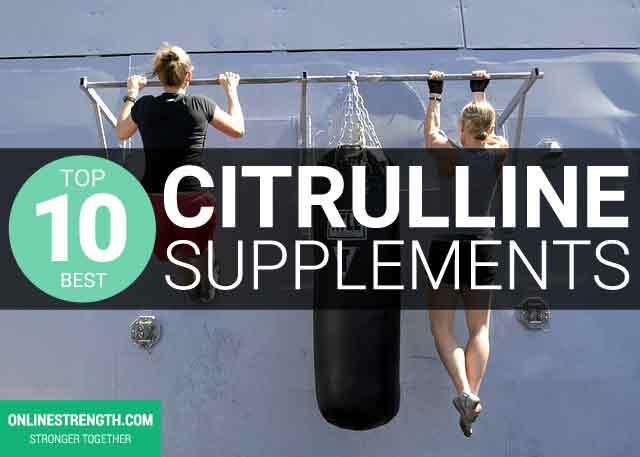 Supplementation of citrulline is very straight forward. For blood flow and circulatory health take 1,000 mg three times daily for a total of 3,000 mg.
For exercise performance benefits such as blood flow, muscle pump, improved recovery time, and increased energy take 6,000 mg – 8,000 mg of citrulline preferably citrulline malate 30 – 60 minutes before you exercise.